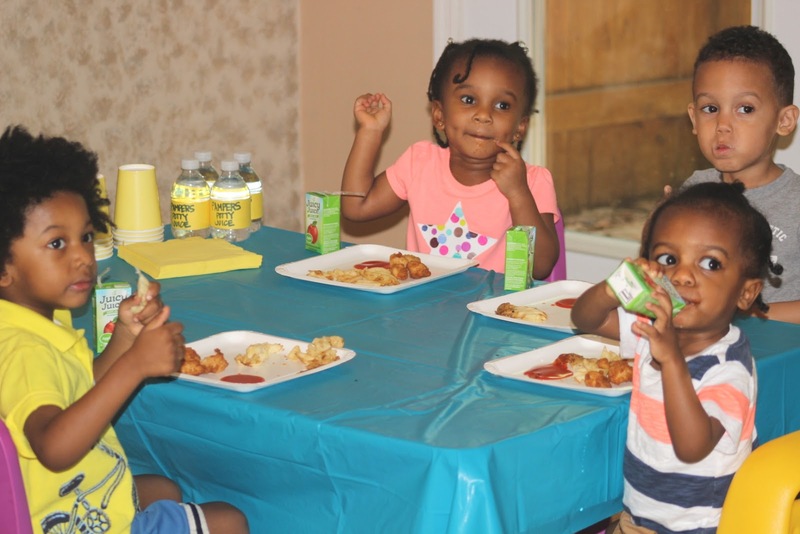 Disclosure: I was provided Pampers products and decorations, as well as compensated to host a Pampers Easy Ups party. The views and opinions are my own. Almost a year ago, I thought my toddler and I had kicked diapers to the curb. I had successfully, or so I thought I had, trained him to ask and use the potty in just a weeks time. For awhile, he was doing great. There was an occasional accident here and there, but nothing to make me think that he wasn't getting the hang of this no diaper thing. We were always on the go. In the car. In the gym. Hours at a time. Not that it's any excuse to forget my son's potty-training efforts. But I had completely given up on the commitment. It was Mommy who had failed. Yet another thing to add to my enormous list of incomplete parenting. 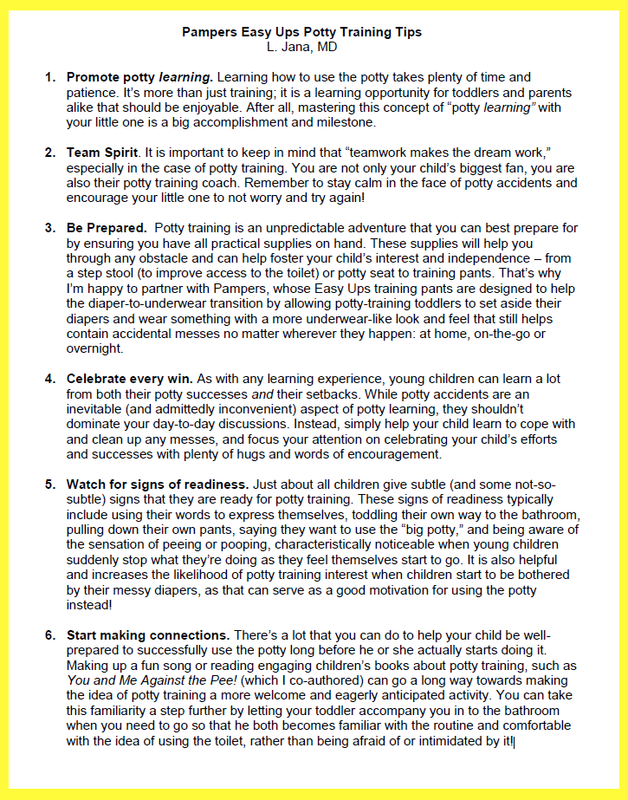 Potty training is an amazing milestone for toddlers and parents alike, but it can also be stressful. 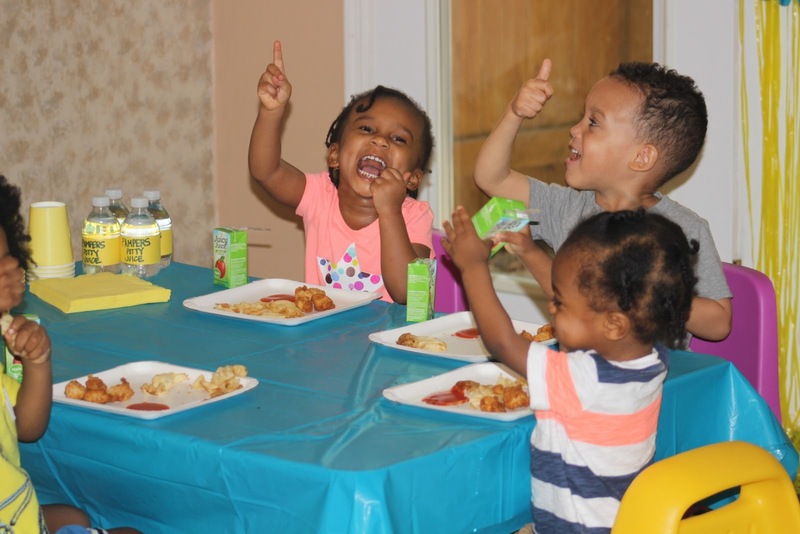 Spring is the time many families kick-off potty training so they are ready for summer fun and then for the start of preschool. Potty training can feel like an overwhelming process, and when minor leaks or accidents occur, it can be a disappointment. Pampers Easy Ups helps makes this journey a little easier by providing better leak protection than the leading competitor. 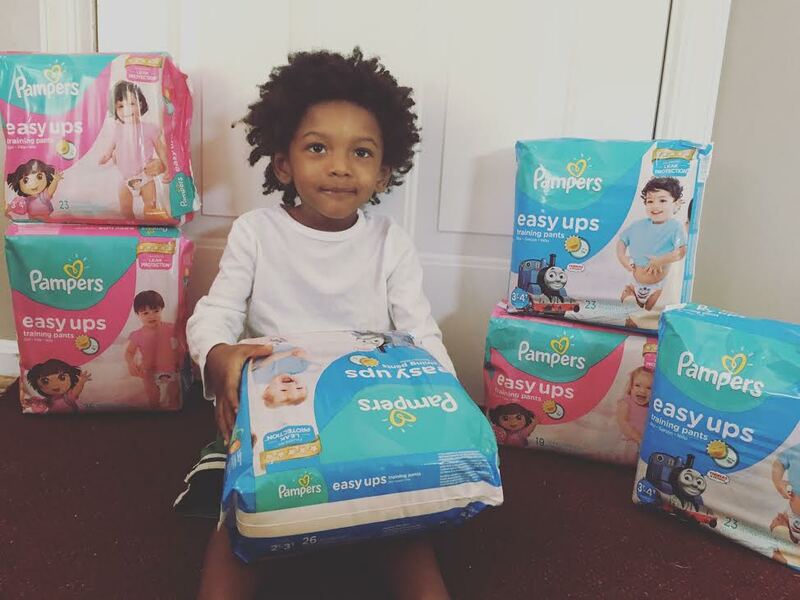 We decided to do away with diapers and give Pampers Easy Ups a try. I figured this would give my toddler the confidence of wearing underwear while still adding protection from any accidents. It also gave me piece of mind when we were in the car for extended periods of time and did not have a potty break. They served as insurance in a way – not that you wanted to depend on them, but the help was there if necessary. Training pants support the diaper-to-underwear transition for toddlers and their families as they have a more underwear-like look and feel while still helping to keep messes off clothing, bedding and other surfaces no matter where accidents happen: at home, on-the-go or overnight. 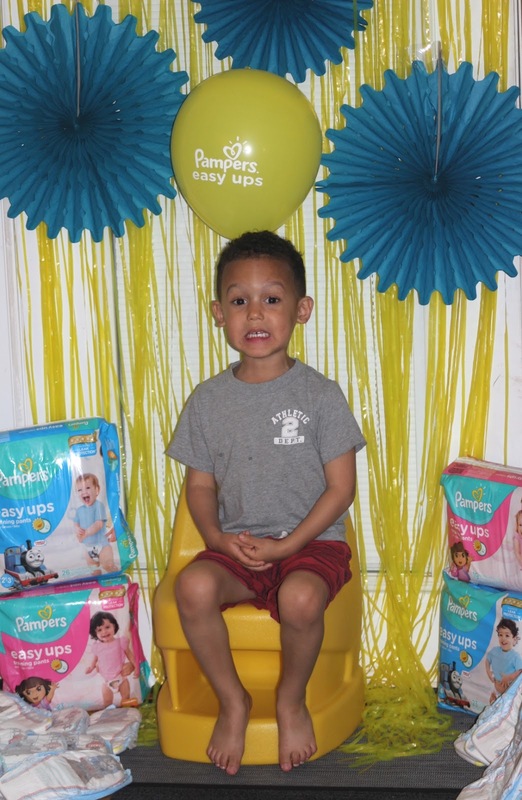 When Pampers invited my to throw a potty-training party for a few of my toddler friends, I thought it would be the perfect time to get back into the swing of things. After all, there is strength in numbers. The more toddlers participating in the act, the more likely they would shadow each other and want to try whatever came their way. First, feed the toddlers. This is a great way to get them all to listen to you talk. We went with a delicious meal of Chick-fil-A nuggets and waffles fries, accompanied with Juicy Juice. I also provided some water. I figured the more liquids they consumed, the more pee pee they would produce. They were more excited about the balloons though. The attention span of a toddler is not the greatest. I tried to talk to them about what they say when they need to use the potty. They pretty much have that part covered. Hopefully, they will follow through. 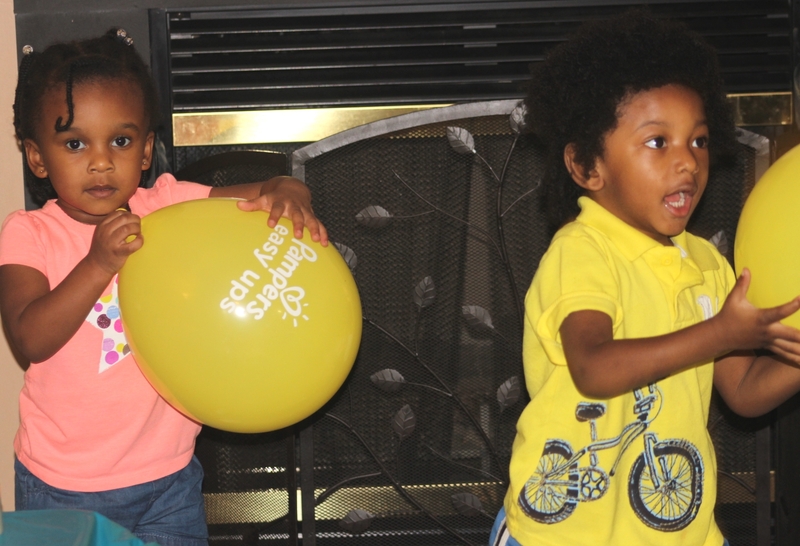 I sent each child home with a Pampers Easy Ups goodie bag for being such great sports. Hopefully, the treats will inspire them in their efforts to potty train. We did have one toddler who has already mastered potty training. He was there to lend moral support and show his cousins that it can be done with a little practice and patience. Overall, the toddlers gave a big thumbs up to potty training. Stay in the know. Follow Pampers on Twitter and Facebook. Search hashtag, #PampersEasyUps. 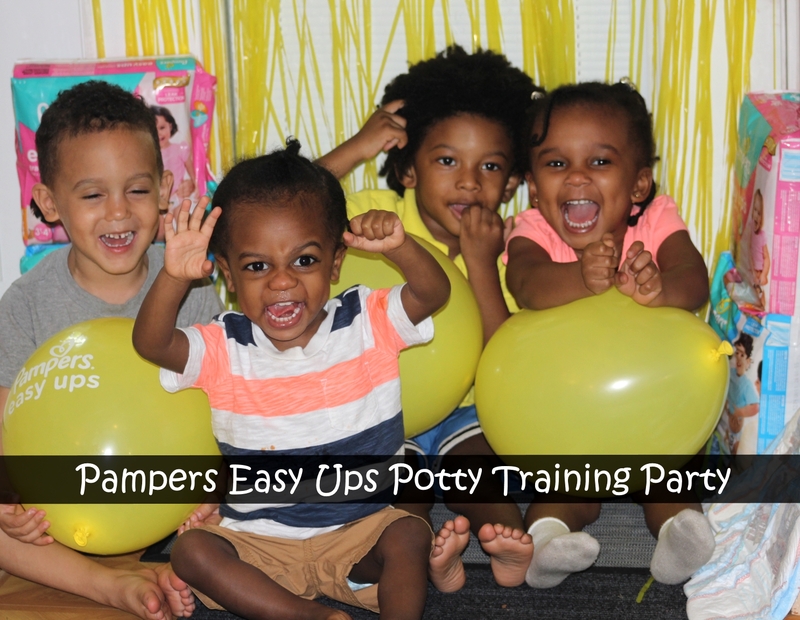 I was provided Pampers products and decorations, as well as compensated to host a Pampers Easy Ups party. The views and opinions are my own.